We serve commercial and residential customers in Dayton, Cincinnati, and Columbus with a variety of roofing services. When your roof shows signs it’s getting ready to fail, don’t make the mistake of calling roofing companies and taking the lowest bid. Your roof is the first line of defense against the elements and a major investment in your home or business. As one of the leading local roofing companies in Ohio, we believe in a job done right the first time. You can count on our roofing contractors for a high-quality roof on which you can depend through the rainy springs and cold winters. We strive to be the best roofing company in Dayton, Ohio with a focus on customer service. Contact us to learn more about our roofing services & request an estimate. If you’re looking for Reliable and Trusted Roofing Company we’re at your Service, Providing Roofing Services in Dayton, Ohio. Commercial roof installation is in many ways more complicated than residential roofing. 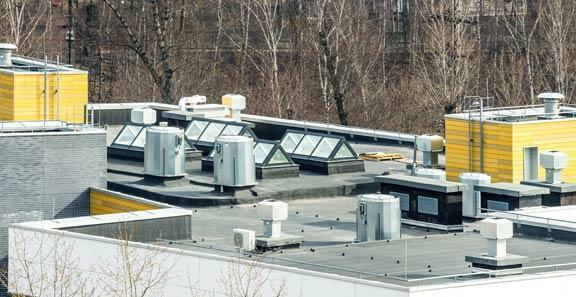 Commercial roofs are typically flat and this lack of pitch makes drainage a big problem. To combat pooling and prevent leaks, it’s essential to choose the right roofing system. Our commercial roofing contractors will help you choose the right type of system for your roof. If your existing roof is showing signs of wear or leaking, contact ourCommercial roofing company right away. 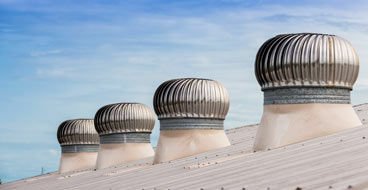 Prompt commercial roof repair may extend the life of the roof, avoid more costly repairs, and avoid business shutdown. As a full service Ohio commercial roofing company, we offer a range of Commercial roofing services. Contact us today for affordable Commercial roof installation and repair. From metal roofing, asphalt shingles, rubber, fluid applied roofing and much more, Roofer Ohio is your go-to contractor for residential roofing in Dayton Ohio. If your existing roof is showing its age or preparing to fail, contact us for an estimate on a new roof. We will help you review your options to choose a new roof that fits your budget and style. We serve commercial and residential customers in Ohio with a variety of roofing services. Did you know a metal roof can last 50+ years with minimal maintenance? Metal roofing is the ultimate choice for longevity and peace of mind. As one of the leading metal roofing companies in ohio, we offer reliable metal roof installation for commercial and residential customers. Contact us to learn more about why you should consider metal roofing for your home or business. An asphalt shingle roof is the most common type of residential roof in ohio. There are many advantages to asphalt shingles, including relatively low cost. With an asphalt shingles roof, you will have many options in terms of color, style, and price range. 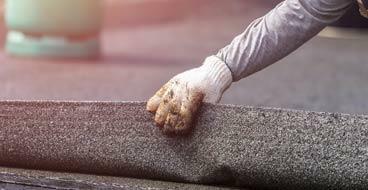 We install asphalt roofing shingle systems built to last with a focus on quality and customer service. Fluid applied roofing offers a seamless waterproof membrane for your existing roof. A fluid Applied roofing system can be applied easily and conform to any shape to stop leaks and bridge cracks. Contact us to learn whether fluid applied roof coating is a good solution for your commercial roof. Rubber roofing is a proven roofing system and is very easy to repair. It’s also highly resistant to rips as a durable and lightweight material. A rubber roof costs more than bitumen or BUR roof’s but it means reduced repairs and better performance. 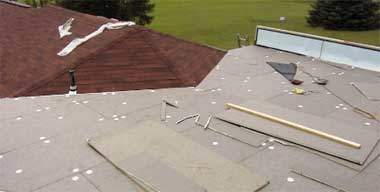 If you are considering a rubber roof for your porject, make sure you choose a skilled rubber roof installation company. We also provide rubber roof repair and maintenance to stop leaks and extend the roof service life. 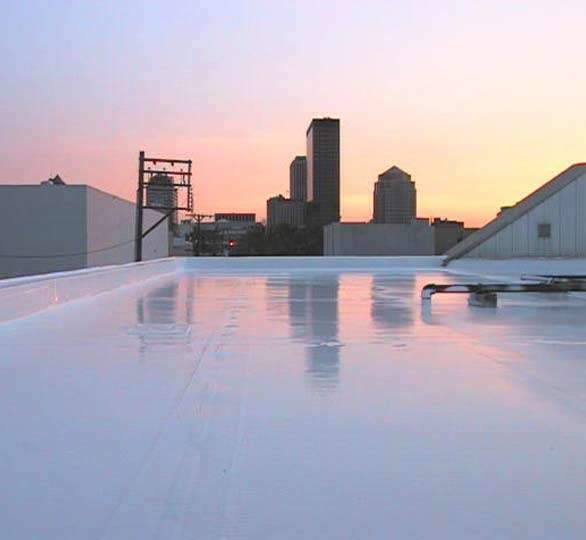 TPO roofing provides high quality flat roof protection with the adittional benefits of energy savings due to the light color of the membrane. TPO roofing systems have been one of the fastest growing segments of the commercial roofing market for last 10 years. The excellent design and durabilty make TPO roofing a solid choice for your next roofing project. Our flat roofing contractors install all types of flat roof systems, including single ply flat roofs, Modified Bitumen flat roofs and built-up flat roof systems. in addition to flat roof installation, we provide cost-effective flat roofreplacement and repairs.If your flat roof is showing signs of wear such as rips, leaks, or ponding water, contact us right away for flat roof repair. if you’re looking for Reliable and Trusted Roofing Company we’re at your Service, Providing roofing Services in Ohio. Fluid applied roofing or roof coating is a solutions designed to waterproof any roof. 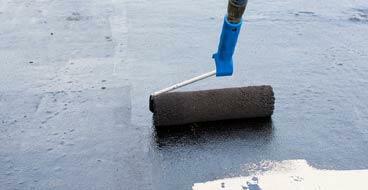 There are many types of commercial roof coatings and liquid applied products on the market. You can count on our roofing contractors to recommend the best solution to fix the problems you are experiencing. We install a variety of roof coating products, each formulated for a different type of roof. Metal roof coating is very effective at preventing rust, the greatest threat to any metal roof. Liquid roofing, also known as a fluid applied roofing system, is a process to waterproof your roof by applying a specialized coating. Fluid applied roof coating can be used for any type of roof, including pitched, flat, and domed roofs. If your roof is deteriorating but still in working condition, a fluid applied roofing system can add weatherproofing without the cost of roof replacement. To claim this discount you must mention year at the time you book your appointment! Expert in roof coating with more than 20 years experience. helps prevent the biggest risk to any flat roof system: leaks in seams and tears. fluid applied roofing system can add weatherproofing without the cost of roof replacement. We are a full service roofing company in Ohio We install, maintain, and repair roofing systems for commercial and residential clients. You can count on our roofing contractors for reliable and cost-effective work done right the first time. Learn more about what we do below. No roof will last forever. When your roof reaches the end of its life, it puts your home or business at risk. We understand that you don’t want to replace your roof sooner than necessary — or face a failing and leaking roof. Our roofing experts will assess your roof and determine if repairs can help or it’s time for a new roof. We offer all types of quality roof installation, including shingle roofs, metal roofs, and commercial roofs. Did you know maintenance is the most important thing you can do to extend the life of your roof? Roof maintenance is also an affordable way to avoid expensive repairs and property damage. We perform routine roof maintenance and annual inspections to catch problems before they get worse. We offer cost-effective maintenance programs for residential and commercial customers. We repair all types of residential and commercial roofs, including EPDM, shingles, metal, wood shakes, and BUR. 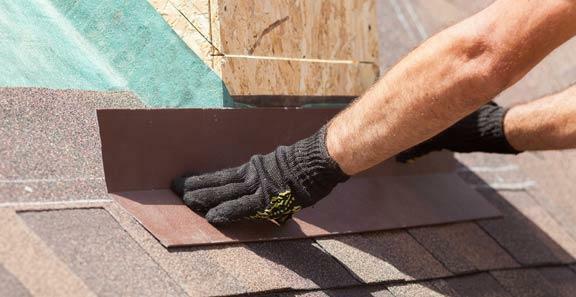 If you have a leak, or you notice missing shingles, damaged flashing, or other signs of trouble, contact us right away. It’s important to address roof problems as soon as possible to minimize damage and repairs. We’ve been doing roofs for over 20 years now which gives us the experience needed to be the best in the business. Whether its a residential roof or commercial roof, there is no job we cannot handle. At Roofer Ohio our biggest concern is the client’s concern, we always consider the clients wants, needs, and budget to make sure we go above and beyond their expectations every time. Our clients don’t lie, when it comes to roofing companies, you will be in the best hands with Roofer Ohio. Thank you for the fast repairs! We had to shut down our restaurant after the roof started leaking over the kitchen. You got us back in business quickly and helped us avoid expensive replacement we aren’t ready for. Call Now! 937 401 8818 or fill out the form below and someone from our team will be in touch with you shortly. The lifespan of a roof is greatly dependent on the quality of the installation and the type of material. 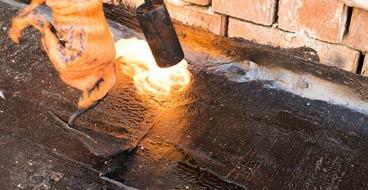 Asphalt shingle roofs, which account for most homes in Ohio, last for 10-20 years, depending on the shingle quality. Wood shake roofs last about 30 years. A metal roof can last anywhere from 50 to 100 years. If properly installed and maintained, flat roofs can last up to 25 years on average. Maintenance is the best way to extend the life of your roof. My roof leaks, does it need to be replaced? Do I need to replace the gutters as well? It’s usually not necessary to replace the gutters when the roof is replaced. Still, you may want to consider it if your gutter system is also aging. Your roof and gutters work together to do an important job: directing water away from the house. If you do not replace the gutters, at least make sure your roofing company cleans them after the installation. 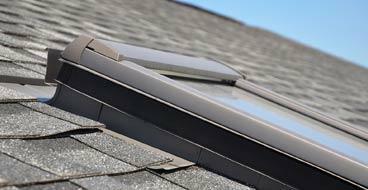 There will be roof debris that can clog the gutters after the tear-off and installation. Our expert professionals are fully qualified & insured, so you can be sure that your team will be carried out by professionals of our team. At Roofer Ohio we are dedicated to helping our clients get exactly what they want. We take pride in our work and never settle for less than 100% effort from all our employees. We are the best in the business and if you give us the chance we will prove it.